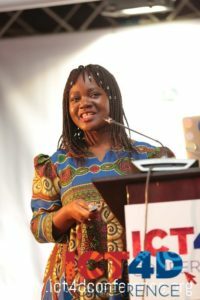 Catholic Relief Services (CRS), founder of the ICT4D Conference, also has speakers planned to present on Health and Nutrition this year. First, Michelle Ell of CRS will have a session on the use of Android tablets as a tool for strengthening the social service workforce and its potential for transformation at scale. Next, Dr. Daniel Oliver of CRS will present on the case of CommCare in Uganda and digital case management in social work settings. 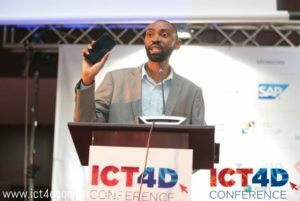 In addition to these exciting presentations, there is a presenter from the International Rescue Committee: James Tinkamanyire, an mHealth Specialist. He plans to discuss the Fifth Child Project, and how technology and health systems strengthening can be used to scale immunization coverage in Northern Uganda. In Northern Uganda only 65% of children receive all basic vaccinations, and only four in five children receive the third dose of DPT vaccine. This unvaccinated ‘fifth child’ is often present in remote locations that are underserved by the health system, and digital health interventions are key to reaching them. Finally, there is a session planned from Justus Ashaba of the Uganda National Tuberculosis Reference Laboratory who will touch upon scaling up digital practices for a stronger laboratory-clinical interface in TB care through TBLIS – an electronic solution for TB laboratories to increase the quality of TB laboratory data, timeliness of results reporting, patient treatment outcomes and effective patient care. 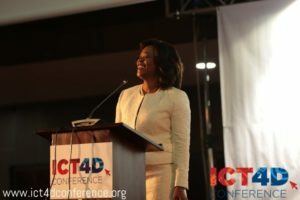 In the Supply Chain Track for this year’s ICT4D Conference, Professor Yuehwern Yih of Purdue University will deliver a presentation regarding the medical supply chain for maternal health in Uganda. Prof. Yih will present a case study on an innovation of sensing true demands for medical supplies by triangulation laboratory tests, patient records, and supply stock levels to improve maternal health. Furthermore, she will demonstrate an integrated solution, E+TRA HEALTH, that supports health supply chain management with real-time data for patient records, laboratory tests, and medical supply stock levels. It assists in reporting and predicting true demands of essential medications at child birth. This E+TRA HEALTH with cloud-based smart sync technology, developed based on open sources platforms, is specifically designed based on health worker’s workflow and Uganda health facility settings. It works without internet, but intermittent internet is recommended for system updates and backups.